Despite the fact that our parents and grandmothers furnished their apartments with furniture walls, this furniture has not lost its relevance, since it is extremely functional. The most common furniture wall combines a variety of different cabinets – from the wardrobe to the sideboard, dresser and TV stand. Well, modern designers turn an ordinary set of cabinets, standing in a row, into something very original. 1. Accurately determine the purpose of the room in which you buy a wall – only for receiving guests, watching television programs and films, a living room with additional functions (guests will stay in it for the night, you will keep clothes there, otherwise). Such planning will help to understand what exactly should be the composition of the furniture wall, its size (mini-table for TV and souvenirs, a medium-sized wall with a cupboard and shelves for books, a great option with wardrobes and lots of drawers). 2. Do not forget the style! Remember that the wall will be the basis for its formation in the room. 3. Based on the requirements set forth in paragraph 1, determine the desired size and model of the wall, using the catalogs of manufacturers and online furniture stores. Do not immediately make an order, better look for your favorite model in the nearest furniture stores and look at it. And after inspection, you can search for a selected wall cheaper, delivery and assembly. Useful advice: before buying furniture, make sure that it will normally stand where you want to put it. To do this, make a plan of the room with the desired furniture in scale. Determine the dimensions of the remaining passages. If the area of ​​the room is small, draw cabinets with open doors to understand how comfortable you will be using each shelf. Note! 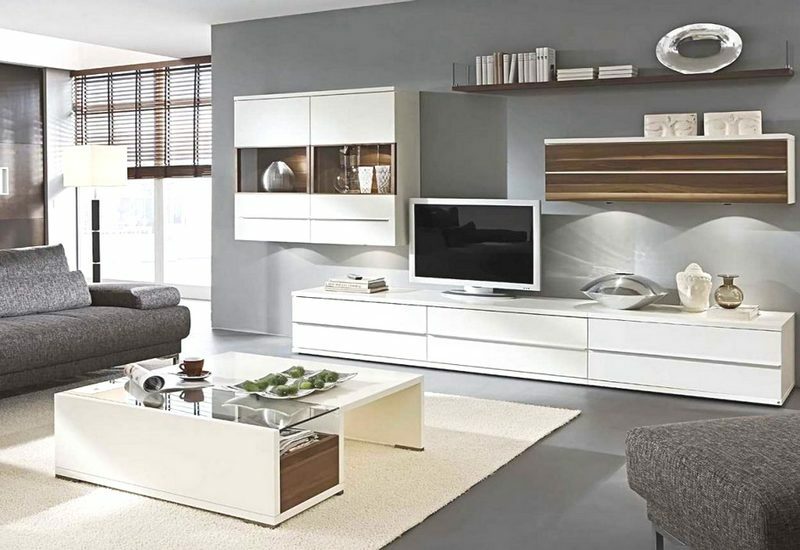 If your living room has a non-standard shape or you are simply looking for the original version of the wall, try to assemble your own set of cabinets from the so-called modular living rooms.